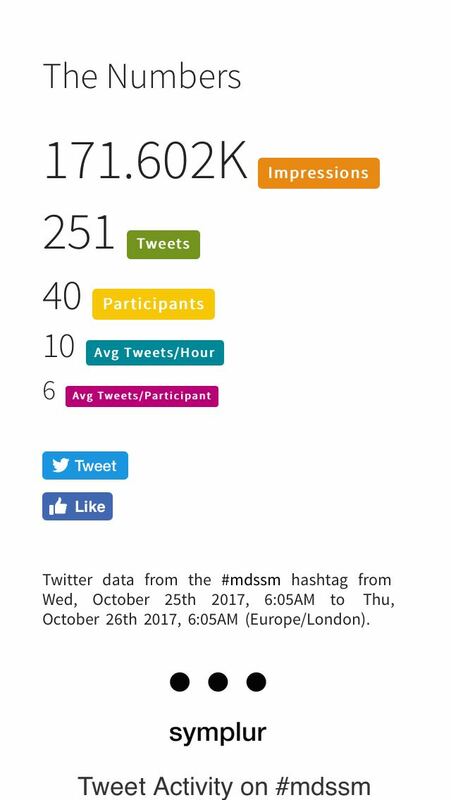 On 25th October 2017, MDS Alliance Members bombarded the Twitter world with the MDS topic, something that had never been done before. 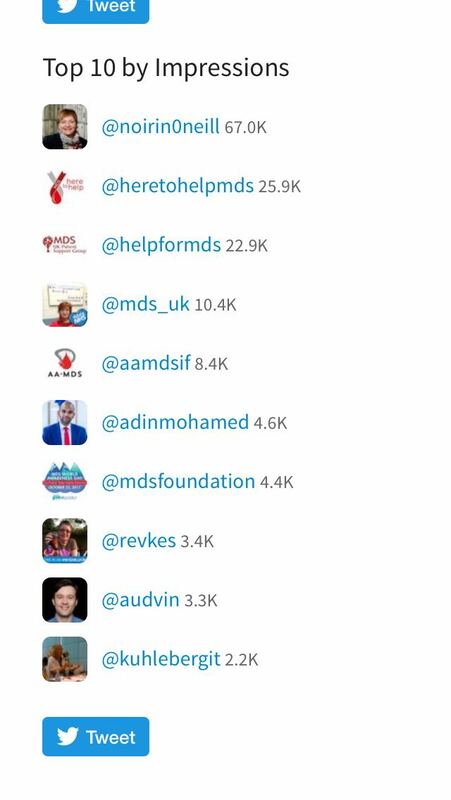 The plan was simple: to share facts on #MDSSM, and nominate others in same twitter post. 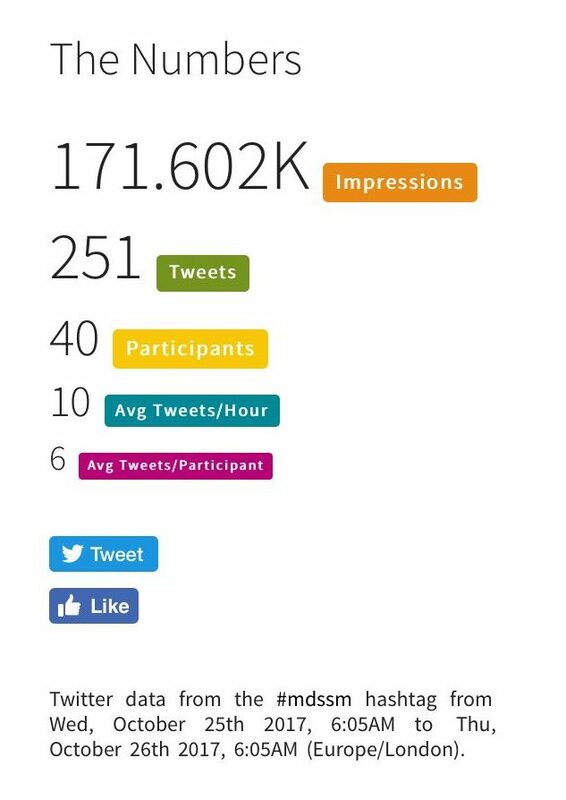 The total activity and reach were remarkable: 250 Tweets and more than 170,000 impressions on the day. It raised the profile of the disease with the general public and the medical community. So thank you to all of you who were able to participate – it was a great success!